Keep Middletown Beautiful – It's Up To Us to #KeepMiddletownBeautiful! Keep Middletown Beautiful is a non-profit 501-(c)3 organization that was founded by the late Della Ewalt. With over 25 years of being a Keep America Beautiful affiliate, Keep Middletown Beautiful is dedicated in its goal to provide education and services to help beautify and improve the City of Middletown. Our organization works with various government agencies, businesses, civic groups, and community volunteers to provide litter prevention and waste reduction to make sure Middletown has every opportunity to make the city one of the most beautiful in the region. 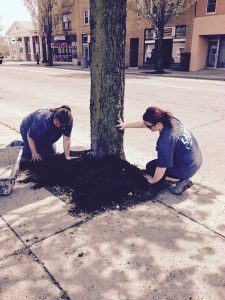 Each year, Keep Middletown Beautiful hosts two events – Earth Day and the River Clean Up – where community members and volunteers come out to pick up litter, plant trees and flowers, and provide services. These events occur at the various parks, neighborhoods, Bright Spots and Welcome Signs in Middletown, as well as along the bank of the Great Miami River. 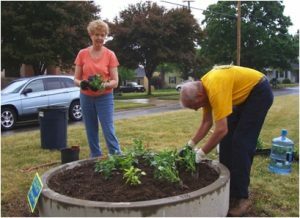 Working with dedicated landscaping teams that assist Keep Middletown Beautiful, volunteers get to help design, plant, and maintain projects ranging in size. These can include Bright Spot locations, the ‘Welcome to Middletown’ signs, and even the Armbruster Nature Preserve. You can decide to become a part of our “landscaper on-call” program that enlists volunteers to donate a couple of hours each month during the growing season to provide landscaping services like planting flowers.